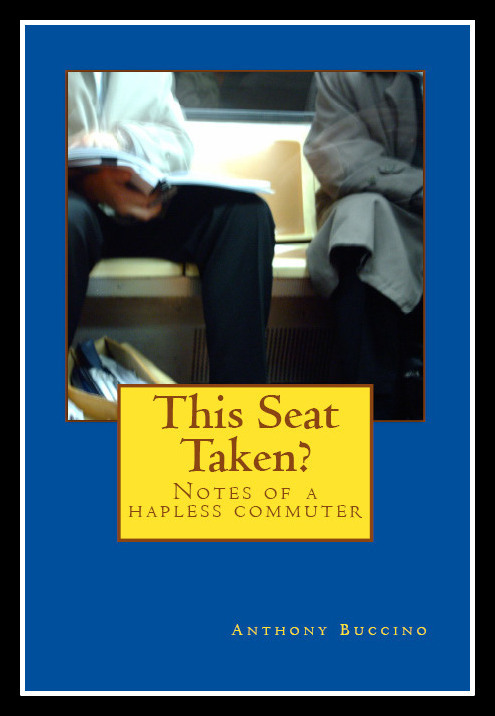 If you ever commuted to work, you'll enjoy reading Anthony Buccino's collection "This Seat Taken? Notes of a Hapless Commuter" about the joys and follies of getting to and from work using metropolitan public transit to reach his news offices in Jersey City and later Midtown Manhattan. Years' worth of Buccino's bus and rail commuting tales and observations are collected in this 224-page book. In 2008, Buccino published "Voices on the Bus, Train, Subway, Bus and in My Head," a collection of non-rhyming verse written while commuting from northeastern Essex County to Jersey City, N.J.
if we allowed them behind the wheel. Bank Robber Takes The Bus And Train? Laptop, Who Has A Lap? Have You Seen the New PATH cars? Did The Woman Fall Under The Bus Today?